This year our Christmas Gift range is bigger and better than ever, so you’ll be spoilt for choice this holiday season. We’ve got the perfect gift for you, your mum, dad, or the “special someone” in your life! 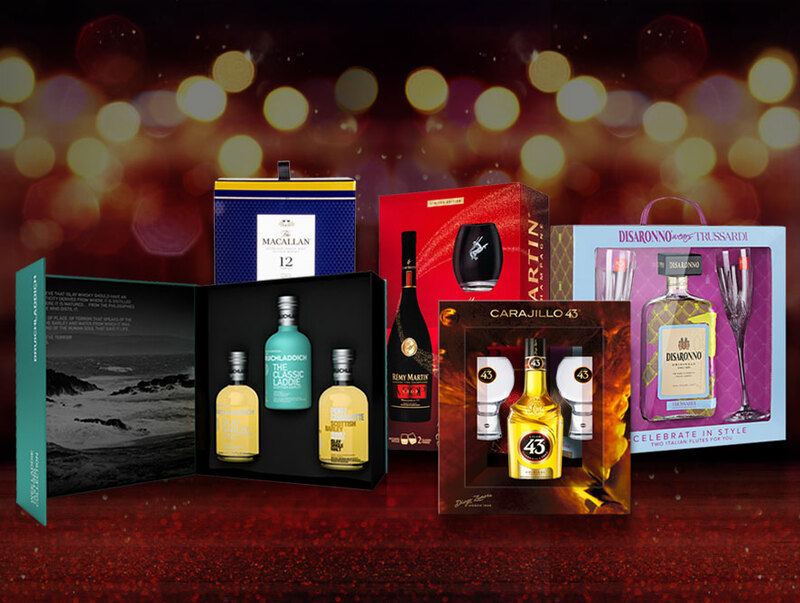 With plenty of new gift packs like the Disaronno Trussardi Limited Edition bottle and Gift Pack, The Macallan Limited Edition Tins and Glass Pack to few favourites making a comeback, like Villa Massa & Bruichladdich Wee Laddie Pack to name a few, we’re sure you will find a gift that’s right for you. For the 6th consecutive year, Disaronno has released a limited-edition bottle featuring Italian fashion designers, this holiday season Disaronno® introduces “Disaronno Wears Trussardi” — an exciting Limited Edition where, true to form, it chooses an Italian lifestyle brand to make its unmistakably unique bottle extra special. The new Disaronno Wears Trussardi bottle is an ideal holiday gift for fashion enthusiasts. It’s a great way to personalize the party scene with a luscious touch of colour and — most of all — a tasteful moment of pure enjoyment to share with friends. This 700mL limited-edition bottle is available at Dan Murphy’s and Liquorland. Along with the classic bottle, the Disaronno Wears Trussardi Limited Edition comes in two delightful sets of mini bottles, in packages of three, so they make great collector’s items. There’s also the “Celebrate in Style” gift box, with two champagne flutes and a bottle of Disaronno®. These are available at independent liquor retailers across the country. Licor 43, Spain’s favourite liqueur is spreading the Christmas cheer with their branded Balon glasses. Perfect for serving the famous Carajillo 43, its unusual glass design along with this smooth liqueur will make an aspirational this gift this summer. This Christmas we have a real treat for our whisky lovers with gift packs from The Macallan who have released 3 magnificent gift packs for the festive season. The Macallan Double Cask 12-year-old limited edition gift box is the third in a series of annual releases celebrating The Macallan’s obsession with wood. The striking photography presented on this limited-edition gift box was inspired by the incredible story behind The Macallan’s exceptional oak casks. Double Cask 12-year-old presents the perfect partnership of two exceptional cask types, Oloroso sherry season American and European oak casks to create the distinctive, warm character of this harmonious single malt. Also, part of this annual series is The Macallan limited edition Triple Cask 12-year-old (also known as Fine Oak) limited edition gift box. A trinity of spirits matured individually in sherry seasoned European oak casks, sherry seasoned American oak and ex-bourbon American oak casks and then exquisitely and expertly married together to create this vibrant single malt. These 2 limited edition gift packs are both available at Dan Murphy’s while stocks last. Then there’s The Macallan Double Cask 12-Year-old gift pack which contain 2 bespoke whisky glasses. This beautiful glass gift pack in unique packaging is available at independent retailers across the country, while stocks last. Bruichladdich has two distinct gift packs in luxurious “book-like” packaging. The Bruichladdich Wee Laddie Pack features 3 x 200mL of Bruichladdich The Classic Laddie, Bruichladdich Islay Barley and Port Charlotte Scottish Barley. You’ll have the opportunity to taste & enjoy all 3 distinct whiskies this Christmas. Not so ‘wee’ after all! The Classic Laddie Tasting Collection features 2 premium branded whisky glasses along with a 700mL bottle of the Classic Laddie. These stunning collector packs are available at your local independent liquor retailers, while stocks last. The Villa Massa Limoncello Gift Pack feature a 500mL bottle of Villa Massa and beautifully frosted Tonica (wine) glass and signature serve suggestions to help you to get more out of your limoncello and make delicious cocktails! REMY MARTIN has 2 bespoke Gift Packs for the Cognac connoisseur. REMY MARTIN VSOP is available with beautifully branded tumbler glasses and packaged in a premium gift box, whilst REMY MARTIN XO is available in spectacular gold ‘book-style’ packaging. 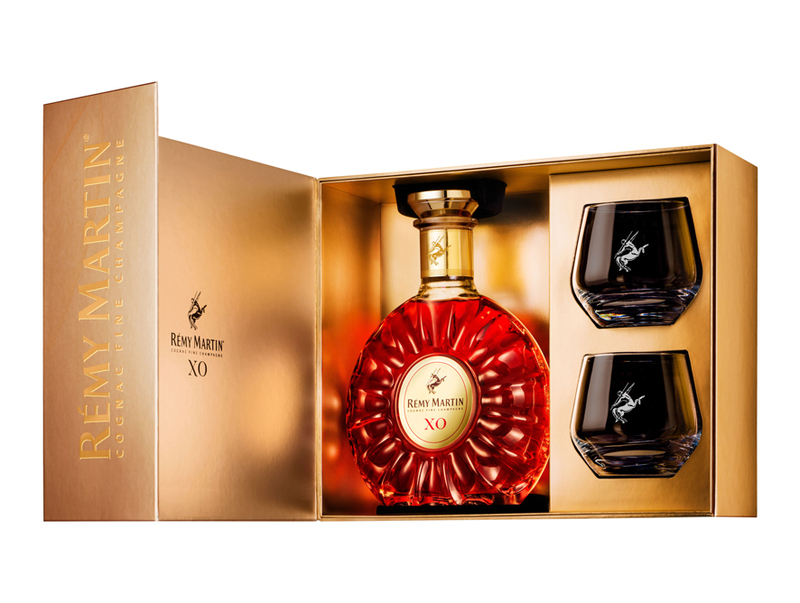 It features a 700mL bottle of REMY MARTIN XO along with 2 branded glasses featuring the signature Centaur logo that is synonymous with the brand. Both these exquisite gift packs are available at all good independent retailers, but only while stocks last. Finally, something for chocolate lovers. 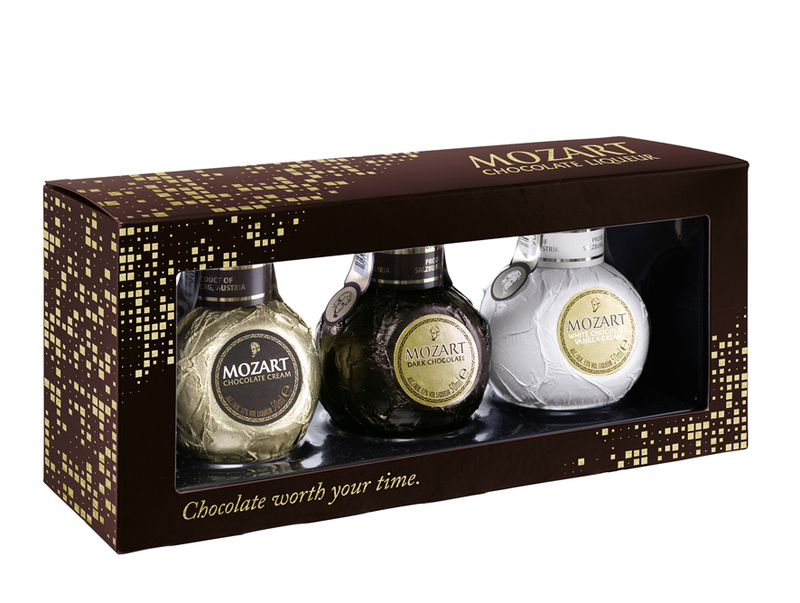 The Mozart Mini Trio Gift Pack includes the three classic varieties of Mozart Liqueur featuring Chocolate Cream, Dark Chocolate and White Chocolate Vanilla Cream and is available at Dan Murphy’s. Mozart Chocolate Cream is made from the most refined Belgian gourmet chocolate that creates a full-bodied, deliciously rich cream liqueur that will sweeten your day or help create a memorable evening. Mozart Dark Chocolate embodies a delectable bittersweet dark chocolate flavour with a wonderful long-lasting dark chocolate finish. Mozart White Chocolate Vanilla Cream is a light, elegant and captivating blend of aromatic vanilla, delicious caramel, fresh cream, and warm overtones of white chocolate. The holiday season is the perfect time to take advantage of these value-added gift pack offers from a great range of liqueurs, cognacs and whiskies. Make sure you don’t miss out. Once they’re gone, they’re gone for good!